A@@Y hiring for software tester. 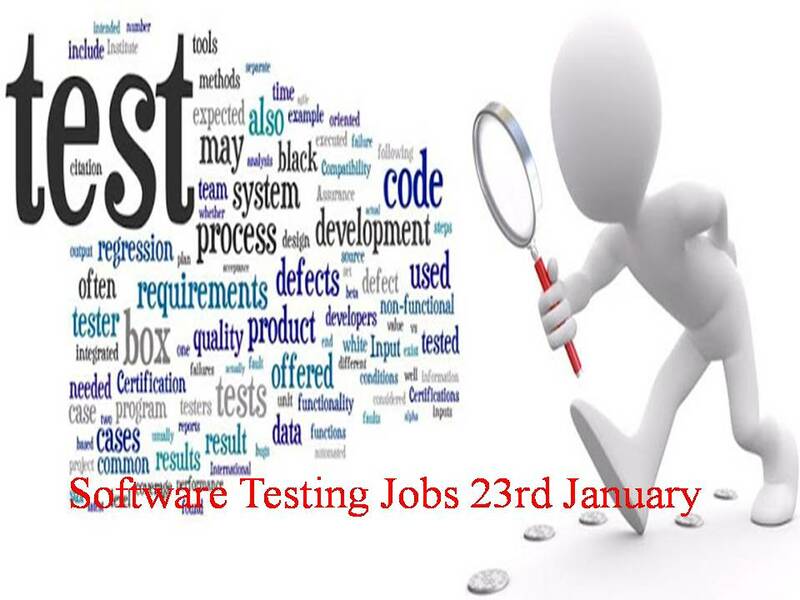 Do spot Registration on 22nd till 25th of January & attend Software Testing interview in coming week only. Company Name : U2opia Mobile Pvt Ltd.
U2opia Mobile (P) Ltd ( https://www.u2opiamobile.com) is a global provider of solutions that enables search, discovery and transactions of Mobile and Internet virtual goods. We are a new entrant in a dynamic and rapidly growing industry. Our business monetizes opportunities in converging services from global internet giants with telecom carriers across the globe addressing a clear need in a 3 Billion dollar industry. Contact Company: Oracle India Pvt. Ltd.
Company Name : TK20 India Pvt. Ltd. Problem solver with a keen analytical mind. Over all 6 + Years of experience into Testing, Automation 3 Years and Manual 3 Years – Create and execute test cases and Automate test cases/stories. Well versed with the different WCAG standards Mandate Must have 6months Years of exp. Evaluate the software applications, product code & systems according to specification. Should have prior experience in designing and implementing automation tool Framework. Should have strong experience in all the phases of STLC (Conception to Completion). Create UI and API automation suite to ensure future coverage for all features. Review and analyze product requirements, UX designs, and development technical specifications. Provide high level understanding, documentation, and strategy to project testing. Identify potential technical or business issues with feature changes. Train and mentor other QA team members.